The British Columbia and Yukon Community Newspapers Association is a consortium of more than 100 community newspapers from across the province. The non-profit organization has existed since 1922 and its members have a combined readership in the millions. While we constantly hear about shrinking newsrooms, community newspapers are thriving. In fact, for some residents of BC’s smaller and more remote towns, local papers are still a primary source of information. Every year, the BCYCNA hosts a gala – the Ma Murray Awards – to recognize the achievements of member papers and their staff. Dozens of awards are handed out for newspaper excellence, advertising, photography, writing, and dedication to the industry. But by 2000, the Association had experienced a steady decrease in gala attendance and sponsorship revenue. 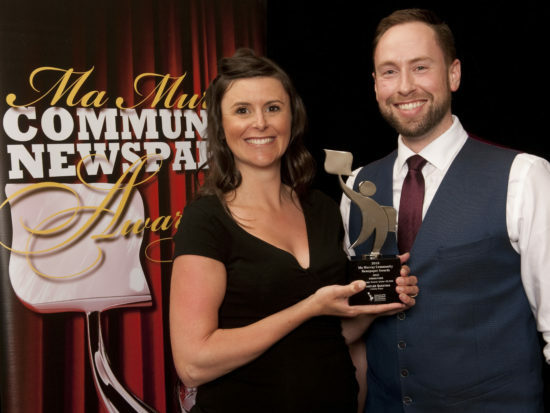 It needed help to revive the gala and make it the “must attend” community newspaper event of the year. Does your annual event need a new lease on life? Are you planning a one-time event and need help with everything from sponsorship to logistics and day-of management? Are you struggling to secure sponsors for your next shindig? Are you too busy to plan your event and manage the rest of your workload at the same time? Could you benefit from having an event planning team with years of experience on your side? If so, you’ve come to the right place. We have more than 15 years of experience planning events – from one-time fundraisers to industry trade show booths and large galas. Your next event doesn’t need to be stressful. Let us take the heavy lifting off your hands. Curve was initially hired in 2000 to re-invent the Ma Murray Awards, which were experiencing a steady decrease in attendance and sponsorship revenue. Our involvement has led to enormous growth in all areas of the event, including increased award submissions, attendance and sponsorship year after year. Curve has now planned the annual gala for almost two decades. Our team does everything –from book the venue, secure sponsorships, manage award submissions, arrange entertainment and plan an after party to write speeches, design and write award booklets, manage the event day-of, and much more. Curve was initially hired to plan and facilitate the Ma Murray Awards. However, we do a lot more for the Association today. Part of our job involves strategizing ways to fund the BCYCNA’s work and foster relationships between member newspapers and the communities they represent. In 2016, our team came up with the idea of hosting marketing bootcamps around the province. Black Press Community News Media, the BCYCNA, and Curve Communications teamed up to teach small and medium sized businesses how to market themselves and stand out from the competition. The bootcamp covered topics like online reputation management, website building, SEO, Google AdWords, Facebook advertising, as well as the benefits of traditional advertising in newspapers, and on the radio and TV. Participants were also offered a $299 advertising credit if they chose to place ads in community newspapers after the Bootcamp. This two-day course was held in Kelowna and Kamloops and was so successful that the BCYCNA decided to bring it to other communities across the province.